There was great success last year for the 2015 Wayne County Business Survey. The report had been released on the Indiana University East Business and Economic Research Center (BERC) website at http://www.iue.edu/business/berc/. Left to Right: Steven Norman, Conner Kramer, Mikayla Miller, Chase Brookshear and Alex Shelley. The Enactus team at Indiana University East is having a banner year, polishing off the spring 2016 semester with a trio of prestigious awards at the program’s national convention. Area business leaders and the community are invited to attend the IU Business Outlook Panel from 7-9 a.m. on Tuesday, November 17, at Indiana University East in Whitewater Hall. The IU Business Outlook Panel is presented by the IU East Alumni Association and the IU East School of Business and Economics. The IU East Center for Leadership Development is hosting a Management Series workshop on Facilitating Meetings for Results from 1–4 p.m. on Thursday, February 19, in the Whitewater Hall Community Room. Area business leaders and the community are invited to attend the IU Business Outlook Tour from 7-9 a.m. on Tuesday, November 18, at Indiana University East in Whitewater Hall. The IU Business Outlook Tour is presented by the IU East Alumni Association and the IU East School of Business and Economics. The Indiana University East Center for Leadership Development is hosting a Power Lunch Series for Next Generation Leaders on “Give” from 12:10-12:50 p.m. on Friday, November 7. Sessions for this series are located at IU East’s Room 912, 912 E. Main Street in Richmond. The IU East Enactus team won a regional championship in its league during the 2014 Enactus United States National Exposition held March 31-April 3 in Cincinnati. 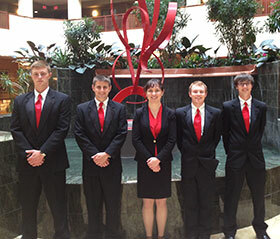 The team advanced to the national competition held the same week in Cincinnati and placed in the top 100 schools. 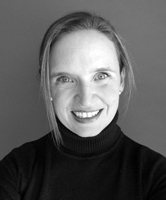 The Fine Arts Program at Indiana University East will host visiting artist Erin Holscher Almazan for a lecture at 12:45 p.m. on Friday, April 18. The lecture will be held at IU East’s Room 912, located at at 912 E. Main Street, in Richmond, Ind.